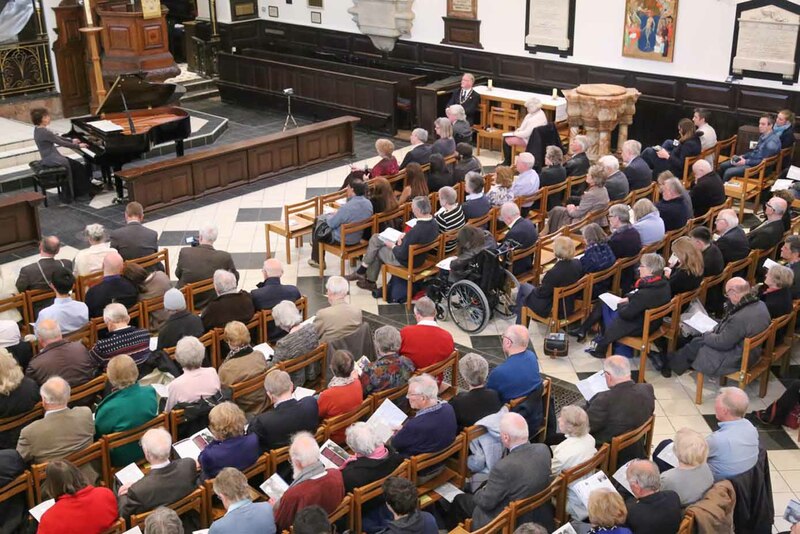 Russian-born concert pianist Olga Bobrovnikova traveled from Belgium to take her seat at the piano, at the Holy Trinity Church, in Guildford on Saturday 30th April. At this special evening promoted as a ‘piano concert with a twist’, Olga was not only entertaining her audience but was also promoting awareness about multiple sclerosis, educating, informing and helping to raise valuable funds for the Samson Centre for MS, a local, Guildford based charity supporting people with multiple sclerosis throughout Surrey. As an Ambassador for the European Brain Council Olga works tirelessly to fund raise and promote awareness for multiple sclerosis. In front of around two hundred people Olga introduced the work of many great composers including Tchaikovsky, Bach, Haydn, Elgar, Rachmaninov, Shostakovich and Joplin. There was also room for some wonderful Bobrovnikova’s adaptations. Throughout the evening and interspersed with the music there were short interesting interviews undertaken by Dr Mary Baker, immediate Past President of the European Brain Council. 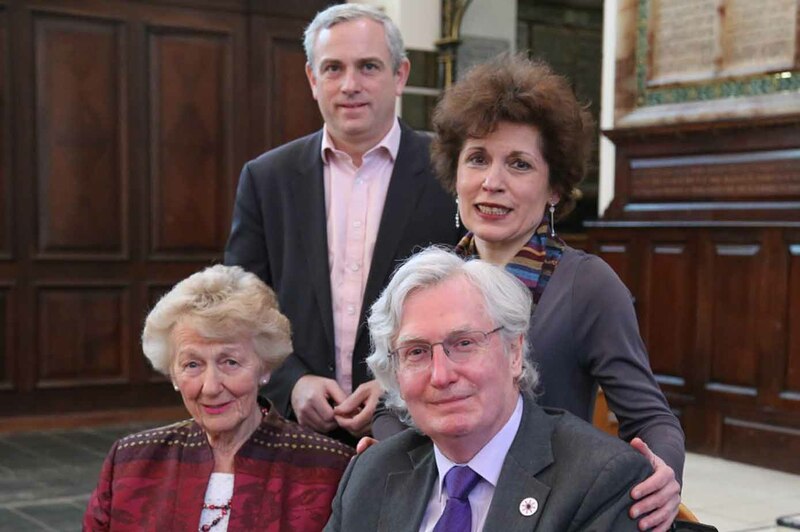 During these conversations Olga discussed how MS has affected her and eminent Consultant Neurologist Dr Jeremy Chataway spoke about an MS diagnosis. Professor Alan Palmer, the internationally recognised Neuroscientist, who himself lives with MS, went on to describe his early interest in the “brain” and what ultimately led him to the career that he pursues today. 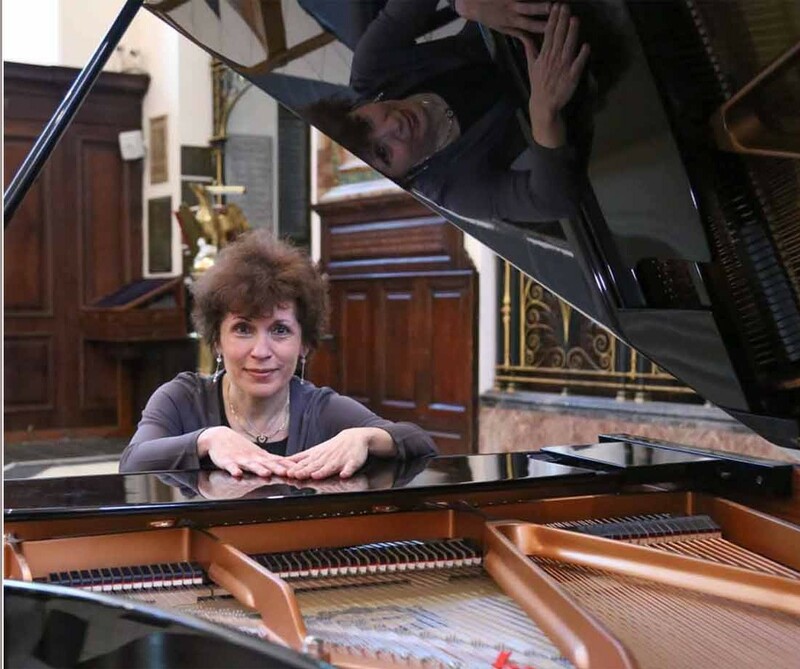 Officially diagnosed with multiple sclerosis in 2001, Olga Bobrovnikova can still to this day play some 350 major works from memory and remains a recognised classical concert pianist who travels the world giving recitals. However, Olga now dedicates these performances to multiple sclerosis research or, as she was doing on the 30th of April, trying to help improve the lives of people living with a disease that is the most common neurological condition amongst young adults today.